In 2008 the University of Massachusetts released a study among Fortune 500 companies to show the social media usage process among them. Since then, this research is done each year and 2014 was not an exception as well. 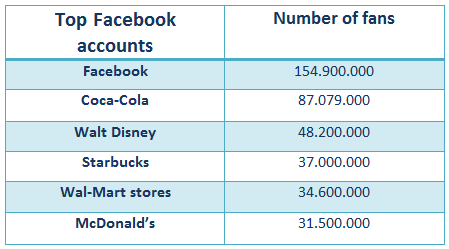 This study shows the usage growth of social media networks, such as Facebook, Twitter, Youtube, LinkedIn, Foursquare among the biggest corporation around the globe. As these F500 companies have a huge role in today's growing business world, by examining their integration to social media networks and blogs, we have the opportunity to predict the future of business and marketing. 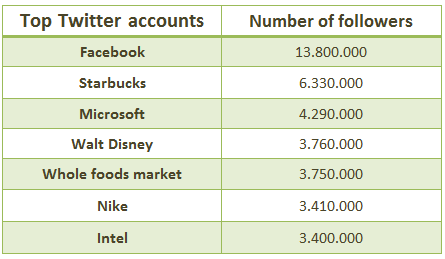 At first let's take a look at corporate blog and social media usage by these huge companies. In 2014 the usage of blogs has increased as expected. The world's top companies write about current trends, engage with customers, reply to comments and take subscriptions. Those companies who have decided to pay special attention to blog and content marketing they know how to interact with customers to be successful. They post frequently, they keep discussions going and they follow conversations in their blogs. Currently 31% of companies, drive their own blogs. In 2011 the number was 24% compared to 2012, when it was 29%. As to 2013, the number was 34%, 3% higher than it was in 2014. There are also many companies, that don’t have their own blogs, and these companies are mostly in the industries of tobacco, railroads or pipelines. The list below represents the top industries with corporate blogs. 415 companies out of 500 have Twitter pages with at least 1 tweet in last month. This number has increased by 6% from 2013. it is the first time since 2008 that 415 companies are from all industries which exist in F500. Even the industries like Tobacco or Pipelines, which are far from social media networks, now have at least 1 company in 500 with a Twitter account. Every company’s success in Twitter can be measured by its followers and egagements. From F500 companies n the first place in Twitter is Facebook, though it is still the 2nd year that Facebook is on the list of these fortunate companies. 80%, that is 400 of the F500 companies now have a Facebook account. This number has increased by 10% compared to 2013. 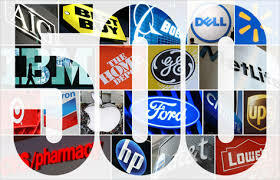 The list below represents the top companies with the hugest number of fans. In 2013 only 11% 500 companies used Foursquare accounts, this year, the percentage has increased and reached to 50%. 68% of the companies have a YouTube channel. However the number has decreased from the last year by 2%. 97% of F500 companies have LinkedIn company page, which is the highest rate of any social media network. The companies of F500 seem to be very happy for finding the ways of social media to engage with customers, collaborators and even with competitors. Now when we have the data of their fans, followers, we can definitely say that they make very strong connections.